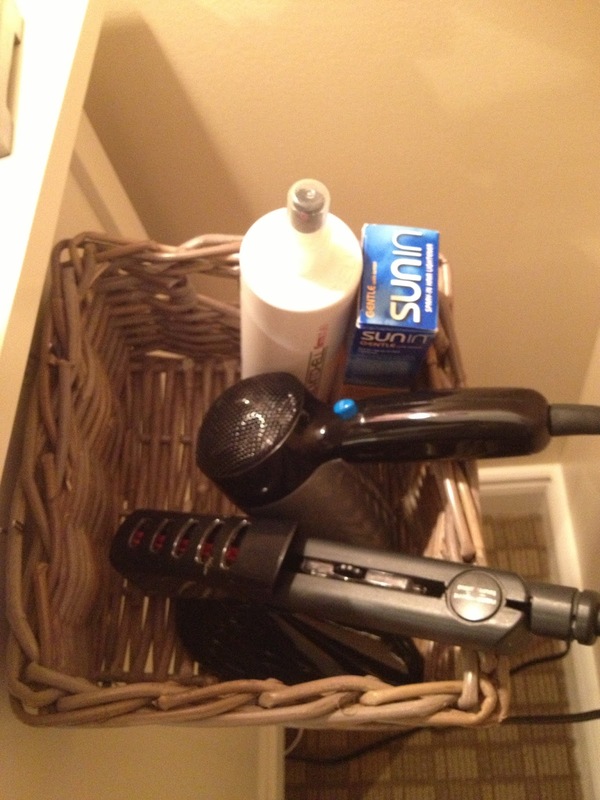 Since I moved to my new place, I was tired of having my hair dryer, straighter, products and all of that showing and being a mess. 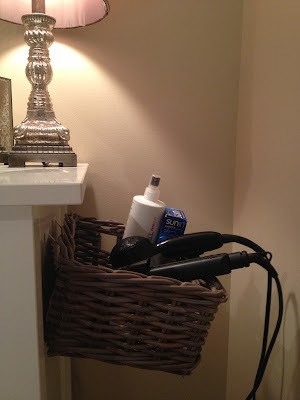 This is a very simple DIY solution to the mess! All you need is a basket and 3M hooks. 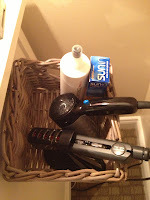 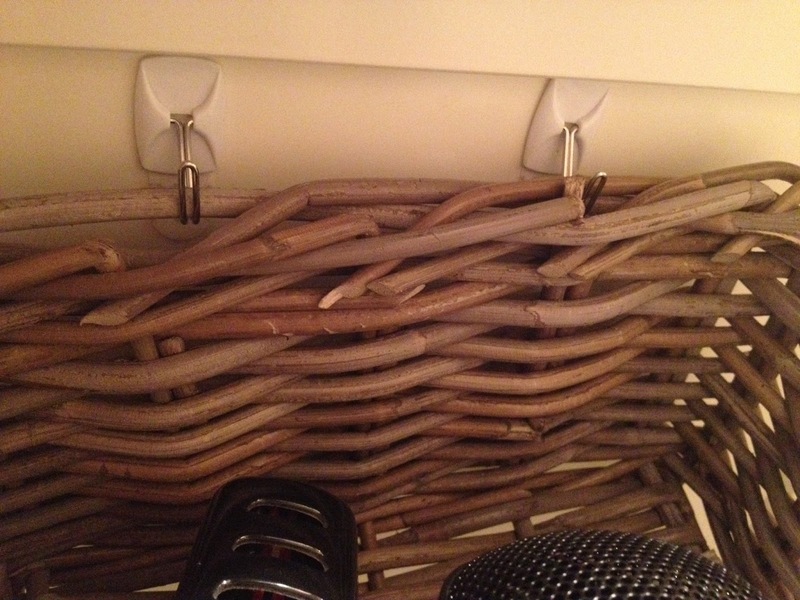 The basket is from Ikea and the hooks can be found at most home improvement stores, mine are from Canadian Tire. 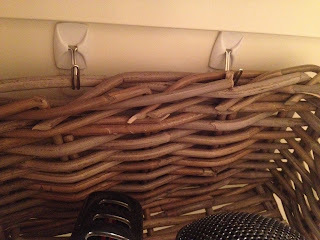 First I made sure there were two spots on one side of the basket, where I could put the hooks in. The hooks I bought are .5lbs, but I would suggest buying one to hold heavier things, at least 1lb. 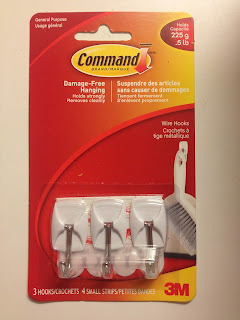 I followed the instructions on the 3M hooks, and lined them up on the side of my dresser. 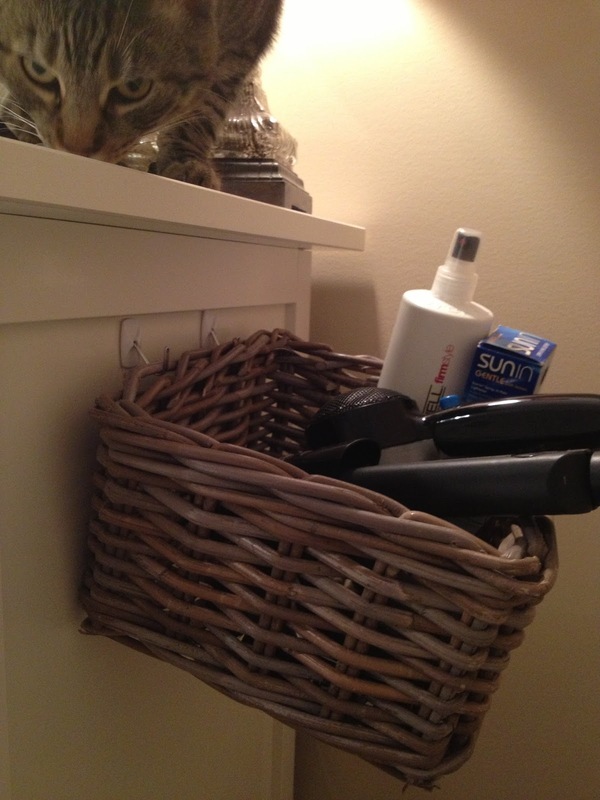 I put the hooks in the basket, and then pressed the sticky side of the hooks to the dresser, to make sure they were in the right spot.